A comprehensive examination combined with retinal photography, has been proved to be an invaluable tool in preventative eye care. 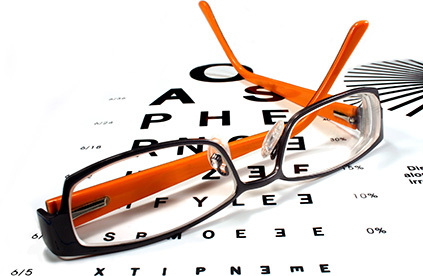 We book half hour appointments to ensure you have plenty of time to discuss any concerns with our optometrists. We like to take the time to get to know people and many families return year on year. The practice is fully equipped with all the latest screening tools and equipment and Harbord Opticians is registered with Bristol Eye Hospital for glaucoma testing using hospital gold standard techniques. We have field testing equipment for routine glaucoma and more specialized DVLA field testing. Sight tests are free under the NHS for all children under the age of 16, everyone over 60 and anyone claiming benefits such as income support. Everyone with diabetes or glaucoma is entitled to an NHS test each year. Anyone over 40 years of age and with a family history of glaucoma is also entitled to an annual free check-up. If you should have an emergency with your eyes or simply feel uncertain as to whether you should use medicated eye drops, we are happy to see you as soon as possible. We can advise you whether to visit the pharmacist, GP or hospital and are able to refer directly into the correct department at Bristol Eye Hospital. When children start school it is important to make sure that every child has good vision. 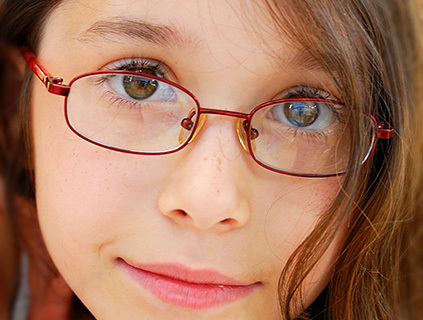 Many vision problems begin at an early age and children don't always tell us if they are having difficulty seeing. According to the Eyecare Trust, up to 1 million children in the UK currently have an undetected vision problem which can have a major impact on the child's education and life. Over 90% of children visit a dentist regularly whilst only 53% of children have ever had an eye examination. The sooner that vision problems are detected, the better the outcome. Childhood conditions such as lazy eye and squint, can be treated if they are picked up early. The eye and visual system are actively developing during the school years and can be retrained at this time. If these problems are identified and treated, it can make a difference that lasts a lifetime. We provide Irlen colour overlay testing for children (and adults!) who are concerned about dyslexia. We provide tinted overlays from the Institute of Optometry in London. Many patients suffer with dry, gritty and watery eyes. There can be many reasons for this including inflammation of the eyelids or blepharitis. This can often be simply treated without medications. We are suppliers of Systane, Blink and Thea products which can help treat this.